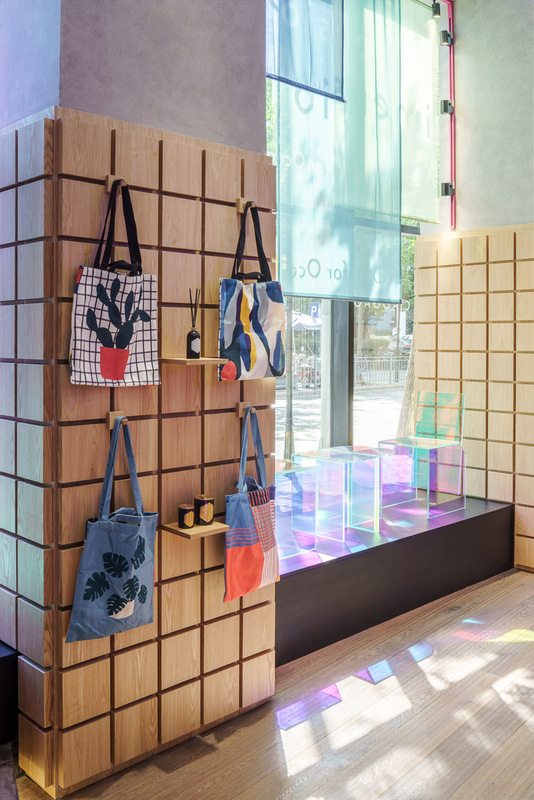 STUDIO DOHO was commissioned by new retail startup OceanSpot to develop a co-retail prototype store. 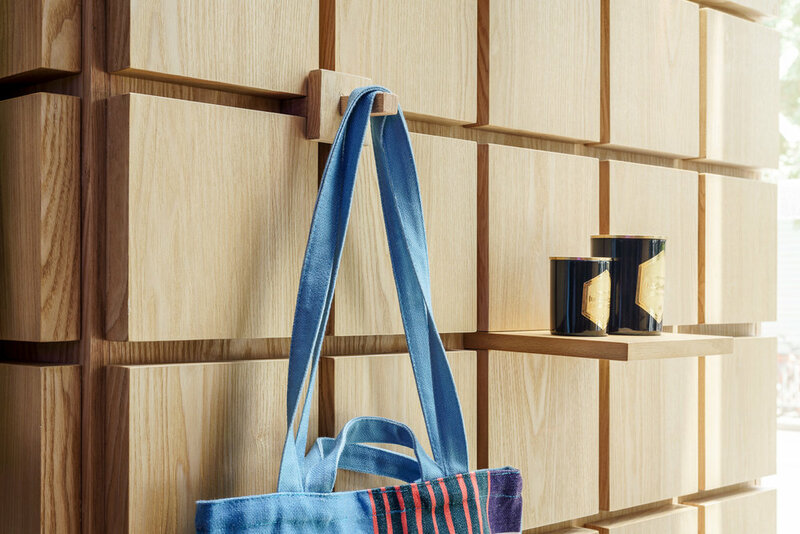 Co-retail is a new approach to retail that addresses shifting consumer interests in the age of online shopping. The driving concept is that multiple brands share a single space with a short-term lease, which allows new brands to gain exposure without the significant cost of a store fit-out. OceanSpot serves as a curator for the space. Short-term rental options make speed of flexibility a key aspect to the design. A fully integrated grid wall system was developed to allow overnight changeability of brand display. When not in use, the grid provides a strong design element to define the space. 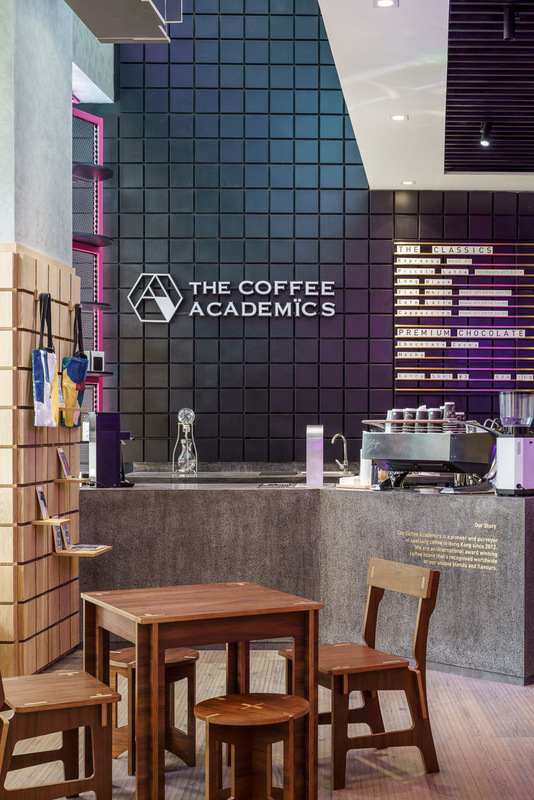 A hosted coffee bar allows pop-up F&B brands to cater the space and complete the overall experience. OceanSpot serves as the backdrop to the surrounding community and the exterior needed to make a strong statement to attract customers. 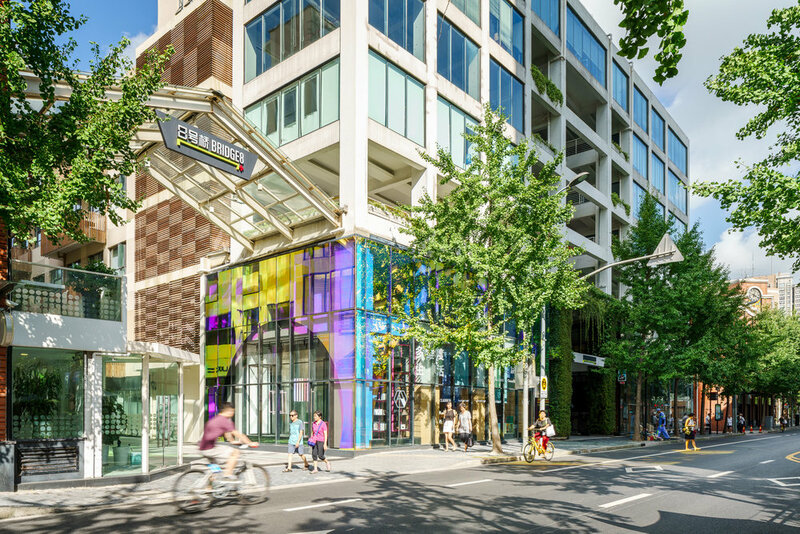 A dichroic film was applied to the storefront, which changes colors when viewed at different angles and creates colorful ‘lightshadows’ on the surrounding sidewalk to maximize visibility and create excitement.